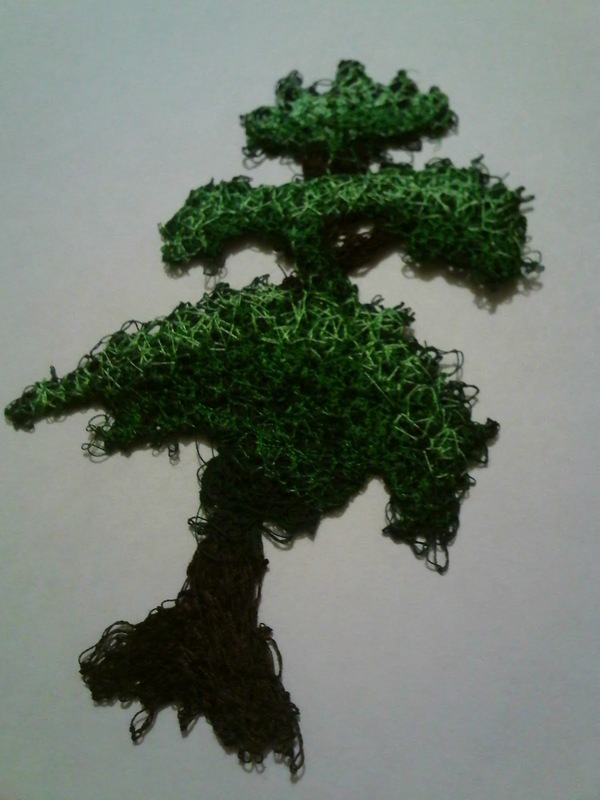 Here’s a cool way to turn fabric trimmings into a new type of craft fabric. As far as I know this product doesn’t have an official name – I learnt it at college and it wasn’t called anything then, but if you know the official name of this craft, please let me know. 1. 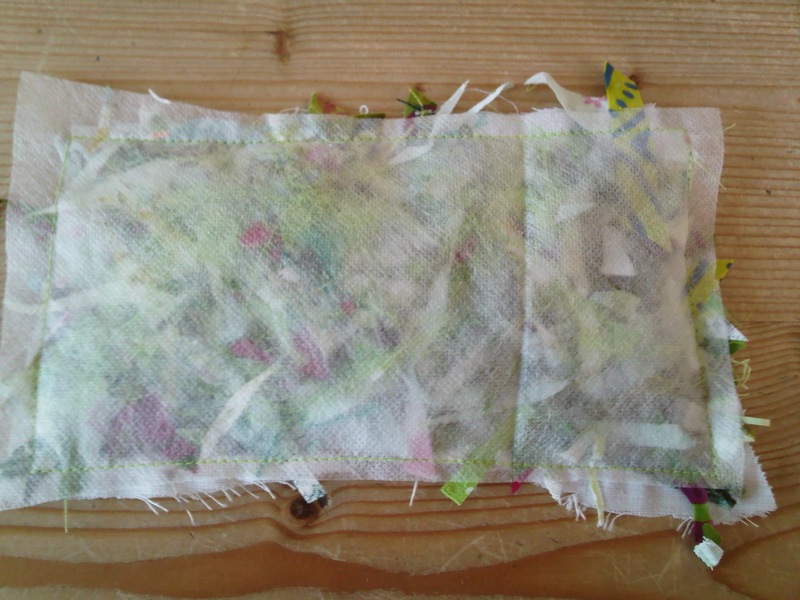 Save up your fabric shavings & wee bits of offcuts that are too small to be useful (you can also cut up wee bits of fluffy wool, ribbon, sparkly threads etc.). Bigger pieces will need to be snipped down smaller. 2. 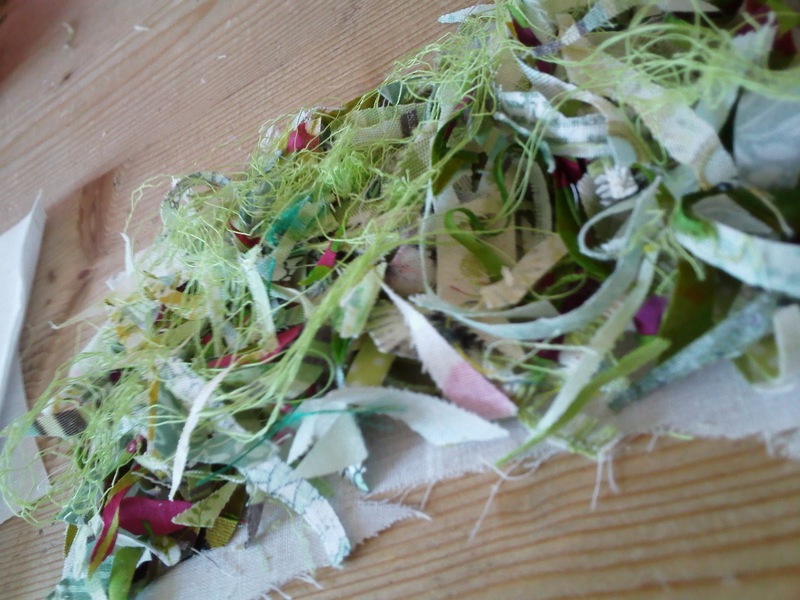 Take a piece of plain sheeting/calico and lay a load of shavings on top. You can colour code your savings as I have done here, or have a multi-coloured mess! Make sure it’s thick enough to cover the backing fabric, but not too thick to sew over. 3. 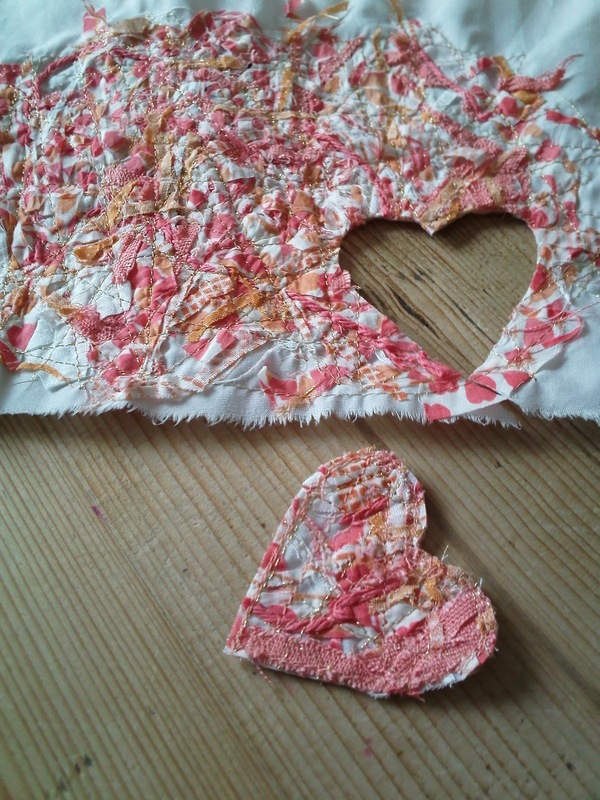 Lay a piece of water soluble fabric over the top and pin and sew around the edges. This stuff is really cool – you can get different brands in a craft shop or online. 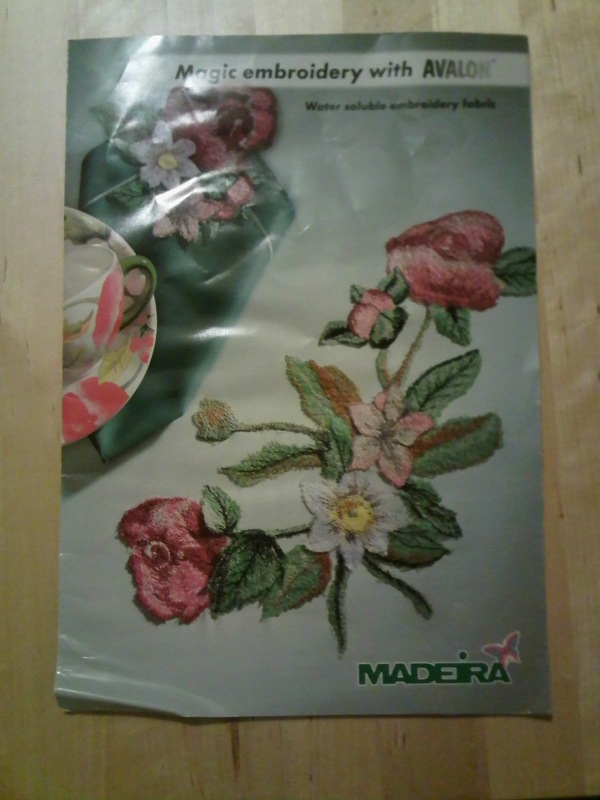 I’ve used Avalon Water Soluble Embroidery Fabric by Madeira (sometimes it’s a clear, plastic type material). 4. 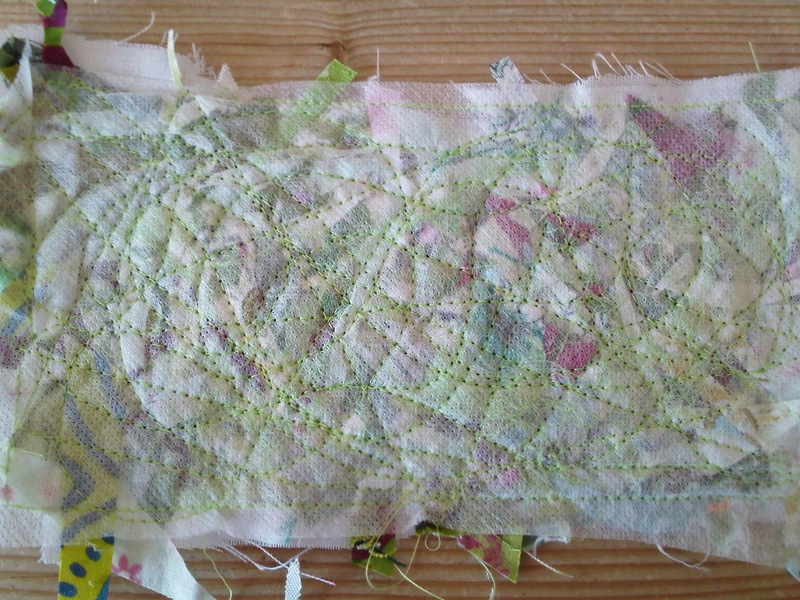 Now sew, sew, sew over the top of the w.s.fabric, either by free motion quilting or straight & wavy lines all over. Try not to leave any big gaps where the shavings can later escape from. 5. 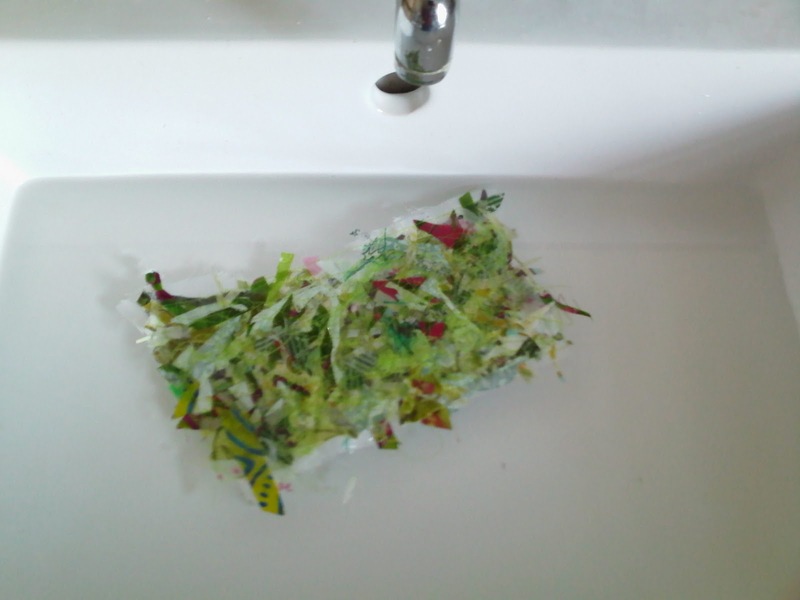 When you have stitched this to within an inch of its life, place it under a luke warm tap or in a sink/basin and allow the w.s.fabric to melt away (it goes a bit slimy as it melts off so rinse it well). 6. 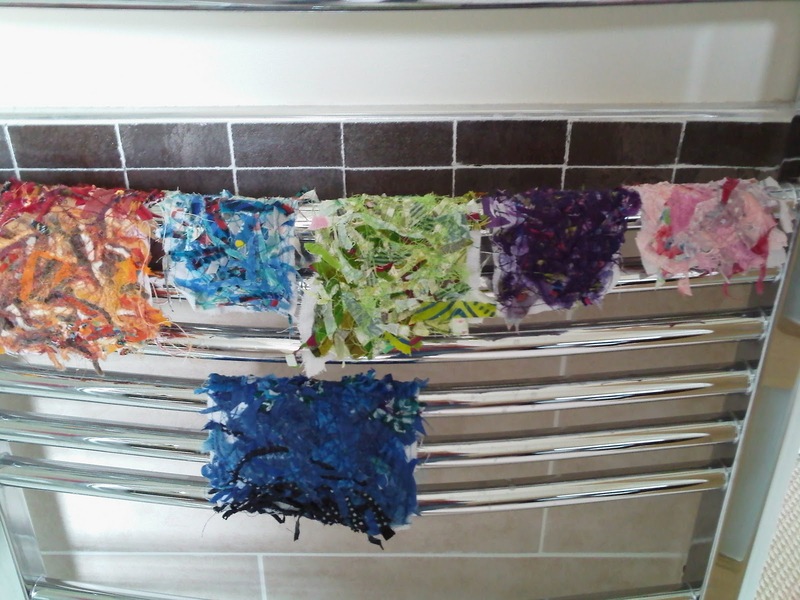 Give your new piece of fabric a good squeeze to get the water out and then allow it to dry on the radiator. 7. When dry, draw your desired shapes on the back and cut out. 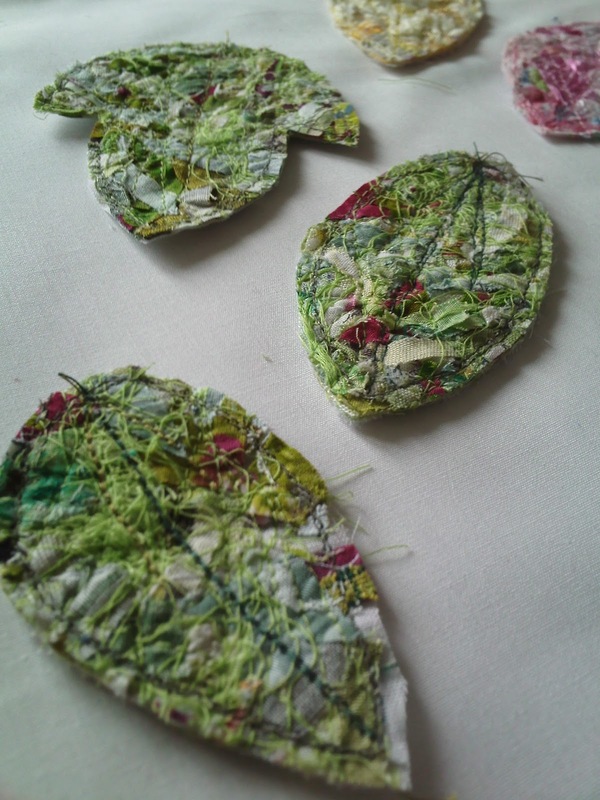 If you want to, sew more stitching on top to highlight details, for example veins in leaves, or sew on beads, sequins etc. 8. 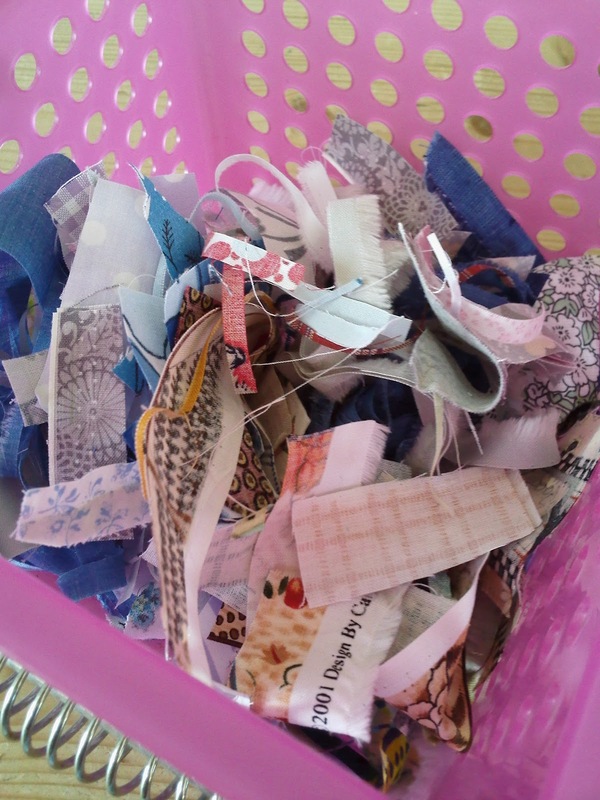 You can now use your fabric shapes to embellish/decorate cards, cushions, make letters or Christmas decorations etc. etc. The possibilities are endless! Another way to use this wonderful water soluble fabric is to roughly sketch a shape on to it & then put it into an embroidery hoop. Repeated sewing and shading with thread will close all the gaps, so that when you take the fabric off the hoop and dissolve the w.s.fabric you are left with an embroidered shape made completely of thread! Have fun & let your imagination run wild!